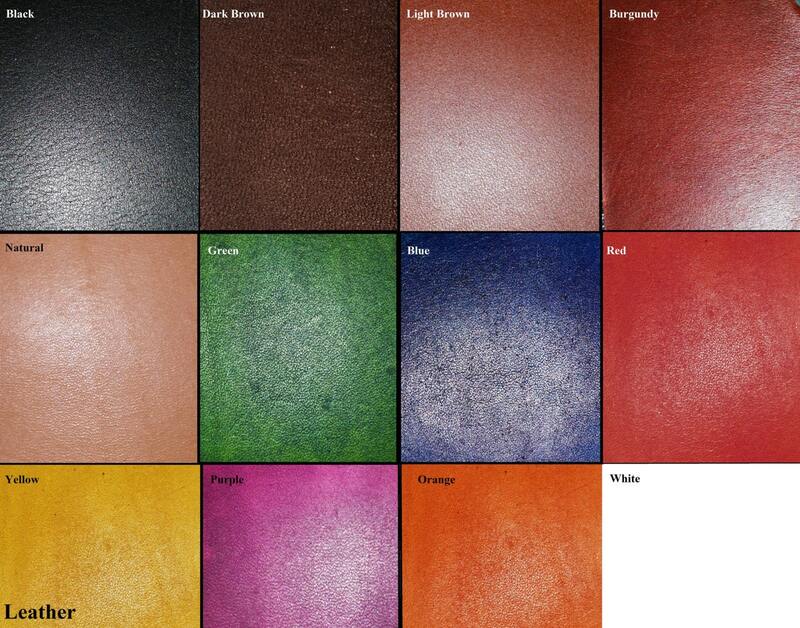 Shown above are our color selections for Kydex and leather. This is NOT a listing for kydex and leather to be purchased by themselves, only a color reference guide or color add on for other items. As shown, there are a few other colors available other than the standard colors for each listing. 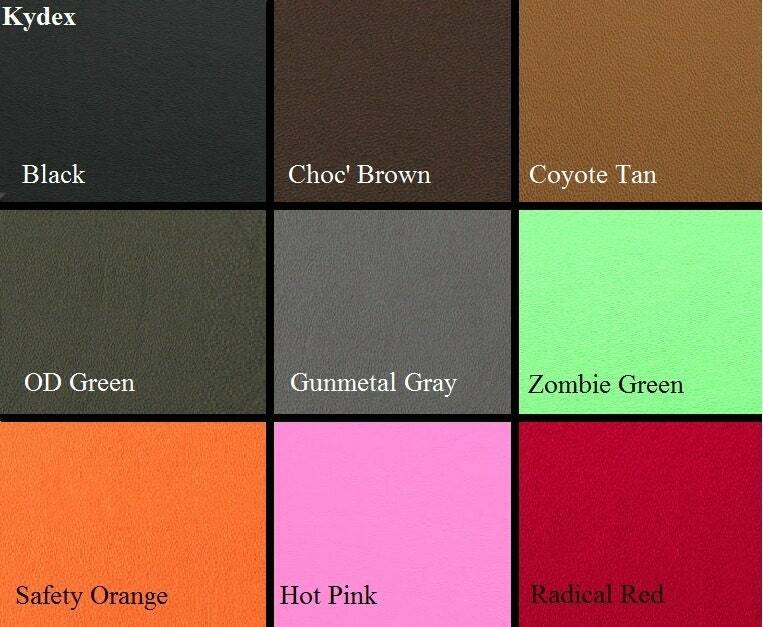 We charge $5 for Kydex colors that we do not typically have in stock, and $10 for leather colors that will have to be custom dyed. 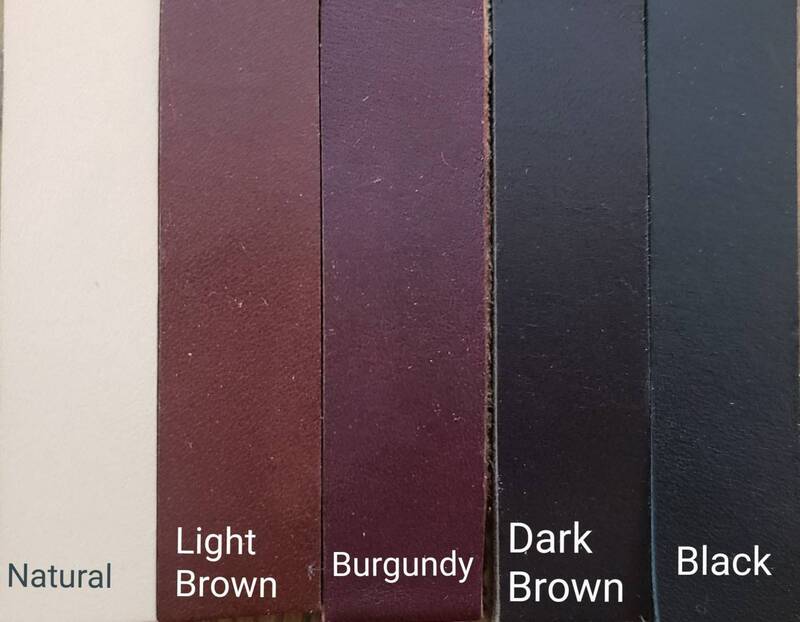 Please note, when ordering non-standard colors, it is possible that your order may take more time to complete be it us having to order the color of Kydex from our supplier, or having to add the step of dying the leather project. Asked for a specific color not on the list and it looks great.